Contemporary office building designed by award winning architects, Aedas, in Bolton’s central business district. Within walking distance of Bolton’s main amenities, including numerous bars, restaurants, retailing centre and good connections via road and rail. Located immediately off the junction with the A673 and Topp Way. 24-hour accessible, the space offers meeting rooms, reception services and administrative support. Situated on the outskirts of Bolton, this professional centre is housed couples an historic building with stylish interior design. With air conditioning, kitchen facilities, fast broadband and ample parking the centre has lots of amenities for tenants to take advantage of. On top of this, it benefits from a great location with it being based just off the A666 arterial road, connecting the centre with Bolton, Blackburn and Manchester. 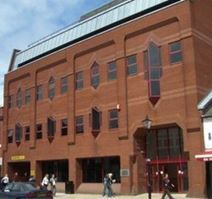 Located in proximity of Bolton city centre, this modern building consists of office spaces, recently refurbished to a high standard and technologically equipped to offer a highly professional working environment. The building is located in proximity of the motorway network and enjoys excellent transport links. A selection of furnished office suites are offered in these traditional styled premises available with flexible contract terms. A reception area and onsite parking is catered for. A short distance from Bolton and Lostock train stations and local amenities. Manchester Airport is less than seventeen miles away. This imposing period property offers a selection of office suites on flexible terms. The centre occupies a prominent location and enjoys proximity to a range of local amenities. Purpose built office building of various sized open plan spaces, available on flexible lease terms. Located in the heart of Bolton town centre, ideally situated to provide excellent links to local public transport and good access to major road networks. Strategically located on Manchester Road, Bolton, this business centre provides refurbished office space ranging in size from two - 10 people and workshops from 960 to 1,600 sq. ft., with on-site parking for you and your guests. Meeting rooms available at additional cost. 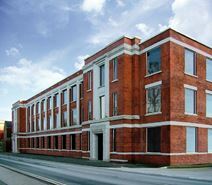 Located in Bolton, eight miles north of Manchester City Centre, this office space offers some excellent on-site amenities, including reception services, secure parking, IT support, postal facilities and mail handling and access to a kitchen. Nearby Bolton Train Station offers great transport links, and there are places to eat and drink around the town, including Costa Coffee which is perfect for the morning boost. Business centre located in Bolton comprising of offices, studio, workshop, light industrial or storage premises all of various sizes. An abundance of parking on offer with 24 hour access, security and short/medium term license agreements. Close to local amenities and just 1 mile north of Bolton Town centre off the A6099. Recently renewed to a high standard, this building offers a selection of office spaces which can be tailored to perfectly suit your needs. The building is located in Bolton, in a very convenient business location, just a few minutes away from the centre of the town and is provided with a large parking area. For travel, Bolton Railway Station offers good connections and further afield, Manchester Airport offers international travel. This business centre is within walking distance of the town centre, and offers spacious office accommodation in a stylish and efficient environment. A range of facilities is available, including generous free parking. Tenants have 24-hour access, as well as breakout spaces, air conditioning, reception services with telephone answering, lift access, administrative support, meeting rooms and It support. 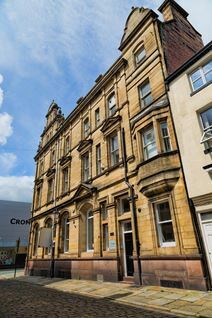 This prominent office building is situated in the heart of Bolton town centre, a short walk from restaurants, bars, cafés and more. This recently refurbished period office building provides affordable office accommodation on flexible terms, with all-inclusive rates. This is well appointed space for a range of business types and sizes.